Direct Energy employees are encouraged to be their best, and that includes supporting one's health and well-being. 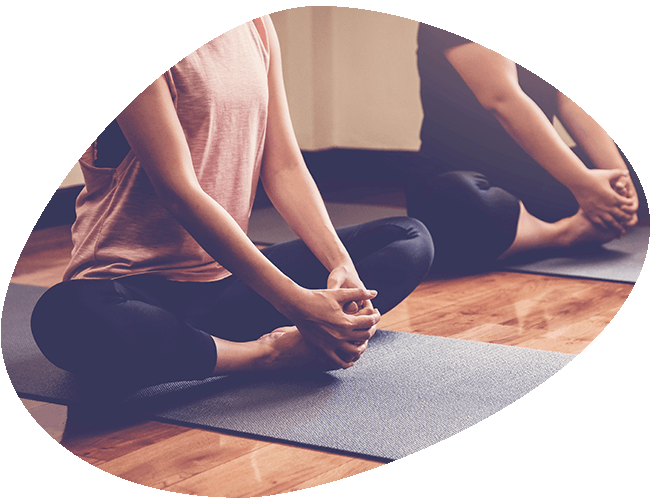 From fitness partnerships to nutritional support, and opportunities to incorporate good habits into daily work life, Direct Energy hosts an in-house health and wellness program that expands to every office in our footprint, with opportunities for all employees. Direct Energy Wellbeing Health Stations provide a basic health review that includes blood pressure, oxygen levels, pulse rate, BMI, and more. Wellbeing Onsite Rooms allow employees a reprieve from the day to relax and have a healthy break. Wellbeing Group Exercise Classes in Houston and Tulsa allow employees the opportunity to work out at the office. Wellbeing Desktop Treadmills and Desktop Exercise Bikes make it easy to exercise and work simultaneously. The Wellbeing Onsite Fitness Room is a specialized space for employees to work out. Corporate Fitness Partnerships are in place across regions so that employees receive a discounted gym rate. Company Kitchens at Direct Energy are there for employees who want a market-size selection of meals, snacks, and beverages. From salads and fruit, to protein drinks, energy bars and meals, energy stays strong and minds stay sharp through healthy eating. And don't worry, there are desserts, too! The Juice & Smoothie Bar Program at select locations gives employees the chance to boost fruit and vegetable intake with healthy ingredients set aside especially for blending! Office kitchens include Vitamix and Nutribullets, and special recipes are provided as well. Weight Watchers at Direct Energy gives discounts to employees who want to change their relationship with food through these trusted programs. For our United Health Care members, Real Appeal is available at no cost. #MoveMore focuses on increasing physical activity to improve health and reduce the risk of health issues. We host step challenges, group walks, special group exercise classes and incentives for increasing your physical activity. #KeepTalking raises awareness around mental health and the resources that are available to Centrica employees. #EatWell provides employees with guidance and direction on proper nutrition to improve their health and feel their best. Through this program, we provide an educational webinar series on nutrition, weight loss and maintenance challenges, healthy recipes and cooking demonstrations. Live and web-based presentations from the wellness team and our partners. Direct Energy Wellbeing Champions who volunteer to sustain the health culture of the workplace through communications and engagement opportunities.